I always wanted to be a goth girl – wearing all black, dying my hair purple, and listening to moody music while pondering the deeper mysteries in life. and since I started my landscaping business when I was 17, I made certain concessions to fashion so that sweet old Mrs Jones would feel comfortable calling me to plant her Bright! Pink! and Red! Petunias! 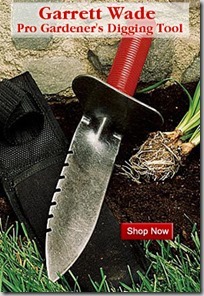 No matter – once I really got into gardening, I realized I suddenly had an outlet for my subversive ways. 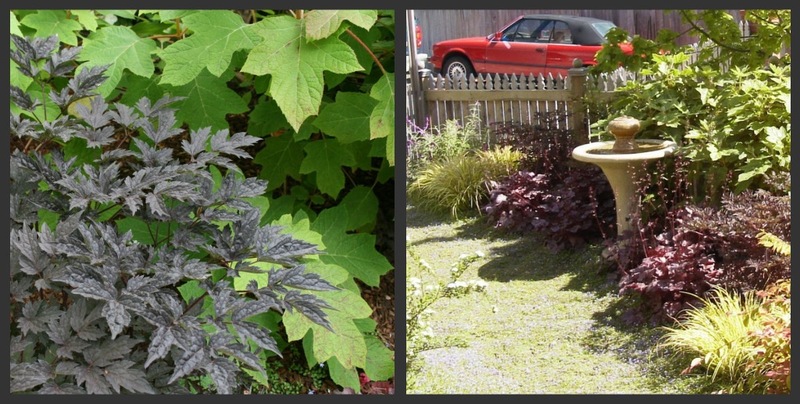 The first garden I designed had these beauties – a ‘Brunette’ Snakeroot (seen below with an Oakleaf Hydrangea), ‘Plum Pudding’ Heuchera, and a number of bright purple flowers throughout. Who needs purple hair when you have the garden as your palette? Since my first garden, I’ve seen a lot of dark foliage, and it’s become quite the trend lately, between the new Black Plants book that Timber Press just published, and all the new black plants coming out (a black Ceanothus!! Whoa!). You really notice a dark silhouette against a bright green, and many burgundy and purple-leaved plants make silvers and chartreuses look like they’re glowing. To me, that means you shouldn’t overdo it with the darks – use ones with a bold shape or form and either have them be the star, or set them just in front and to the side of an even stronger element with a lighter color – either a plant, an interesting wall with a fountain or statuary, or have them direct the eye along a meandering pathway. 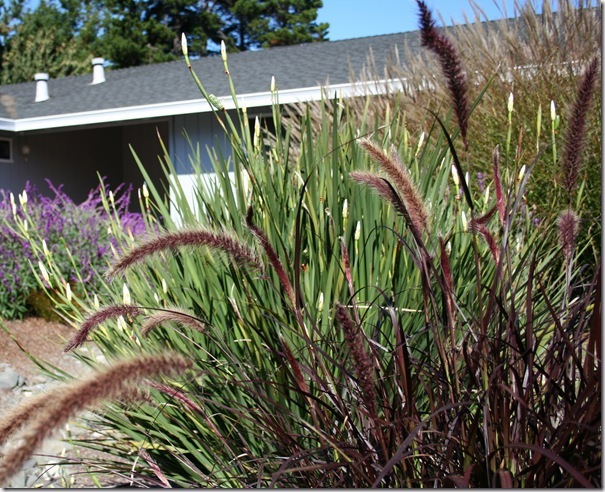 Pennisetum setaceum ‘Rubrum’ – It’s an annual in colder, wetter climates, but it grows fast each year and is well worth re-planting. 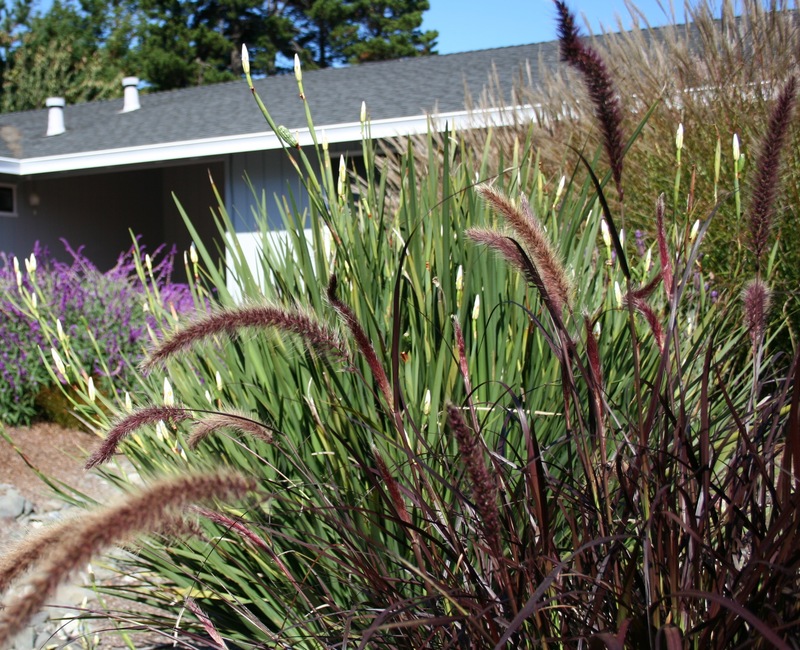 This one’s in a McKinleyville garden designed by Soil Seekers Landscape, on a well-draining mound so it actually lives over each year. Loropetalum ‘Razzleberri’ is a lovely evergreen weeping shrub that gets about 5-6’ tall in time. It’s a bit frost-tender, so while it’s great here on the coast where we get to about 25 degrees, it dies back further inland. It’s not one of those lumpy-looking weepers – the new sprays of foliage arch upward and then weep down after a few months. This ‘Gold Lace Black’ Primrose has such a lovely contrast in a part-shade container or garden bed. They look great in drifts in a woodland setting if you can afford a bunch. Just protect them from snails! 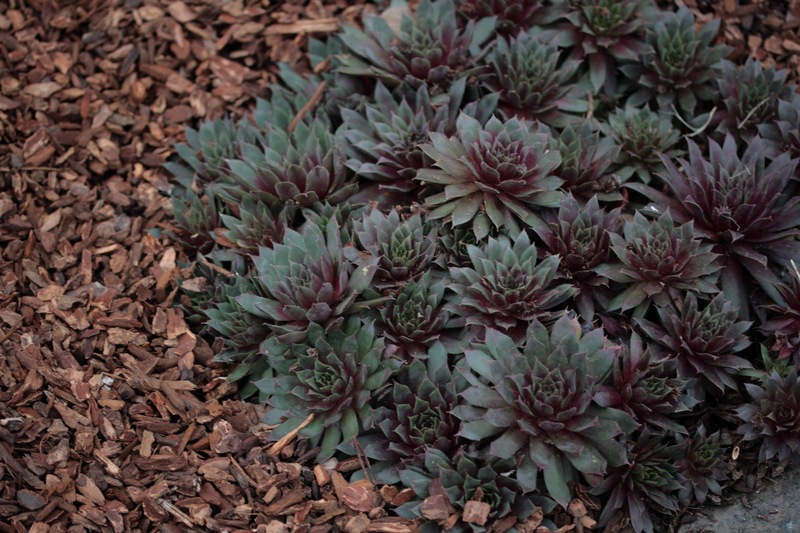 I confess I don’t know the name of this succulent, which came unlabeled in a mass of other purple, bronze, and red-hued varieties. But there are so many hardy succulents with great foliage that you should really tuck a few in between rocks or at the base of statuary. This one’s been doing great for three years despite getting overhead water from an overly enthusiastic lawn sprinkler – usually a death knell for drought-tolerant succulents! 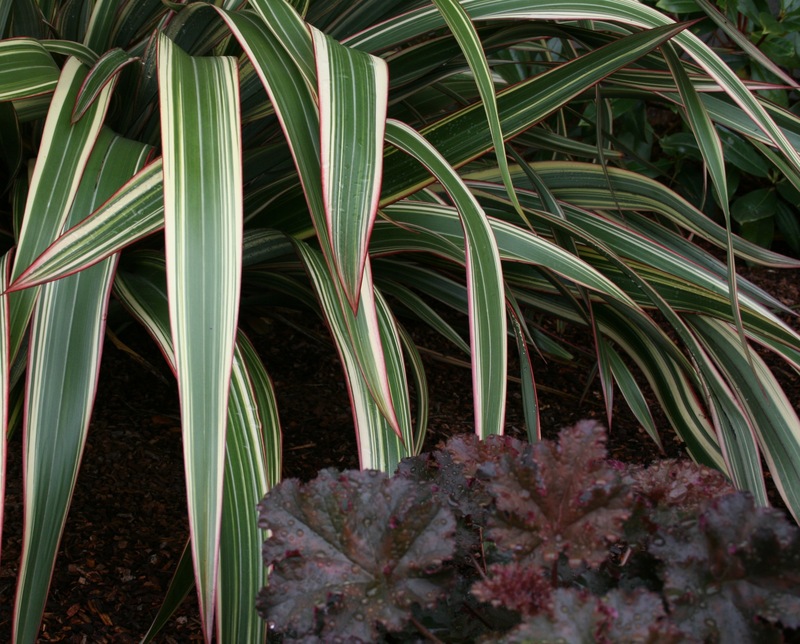 This Heuchera ‘Crimson Curls’ looks particularly cute with Phormium ‘Tricolor’, whose burgundy stripes harmonize nicely with Crimson Curls’ color. This combo is in a windy seaside garden in about 5-6 hours of direct sun a day and as you can see, they’re quite happy even with the salty wind. 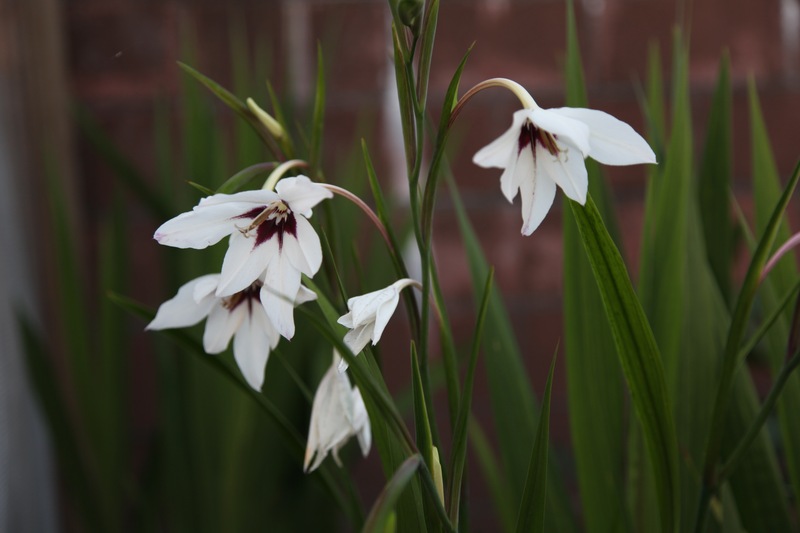 And lastly, this fragrant Acidanthera bulb will be coming to the stores at the same time as the other forms of Gladiolus, and they are well worth purchasing. They don’t seem to care for my rainy climate, diminishing in numbers every year, but they made such a gorgeous show and scent for almost three months this summer! Anyway, if you’re as much a fan of burgundies and blacks in the garden as I am, check out the new Black Plants book I mentioned. It’s by Paul Bonine, who I have long admired for his writing on the Xera Plants Nursery website. His descriptions of the plants, and the photos that were selected definitely make me want to try some new chocolates in my gardens! The book isn’t exhaustive – I’d love to see more discussion of great plant combinations and how to design with dark colors – but for what it is – a drool-inspiring look at 75 gorgeous black plants – it is excellent. Just in time for winter reading! 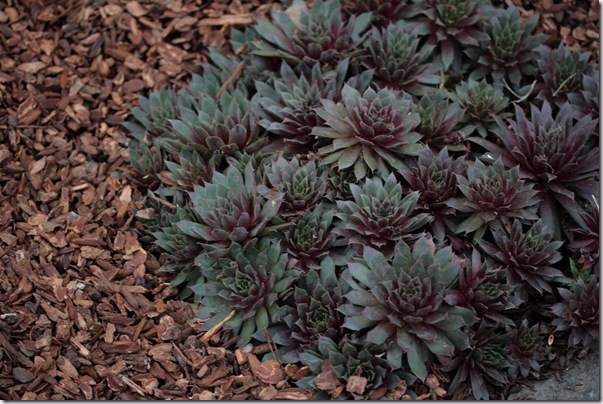 Readers – what are your favorite dark plants? Filed Under: What to Plant? Tagged With: Black Plants, Foliage Interest, What to Plant? 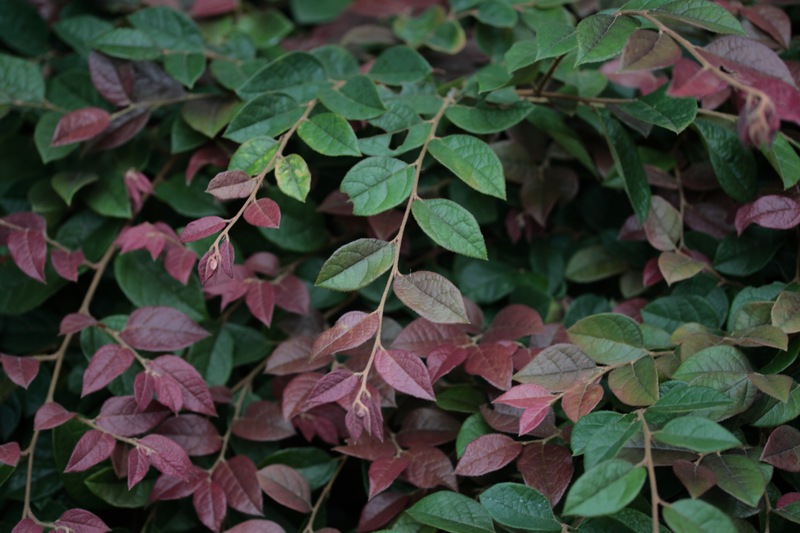 Hi Genevieve, For the longest time I have thought about having a double sided bush and perennial boarder that was ALL burgundy, and green-black, with touches of chartreuse, silver-gray , and white. BUT here at Whimsey Hill House, I have NO more room for such a planting. I have never seen anything like that before, and I really don’t know how EERIE it would look, but the whimsical artist in me would have loved seeing if I could make it work if I had the chance. 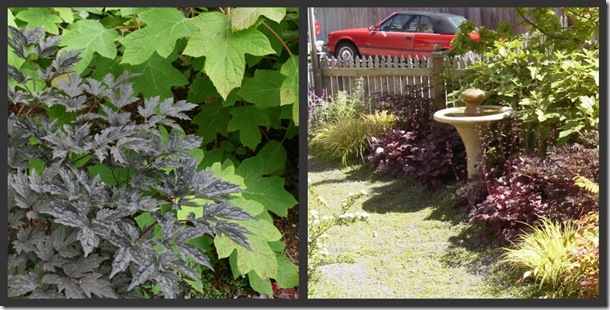 I think the burgundy color of foliage really adds a lot of visual stimulation to the ALL green garden. 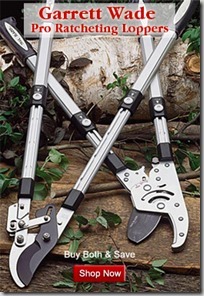 I have worked it from tree high, bush level, and ground hugging on my property. As a gardener matures, they look past the thought of FLOWERS, and see that it REALLY is the FOLIAGE that makes a garden great. Perennials bloom only for a week or two, and then you JUST have the foliage to look at. HAPPY HALLOWEEN! This isn’t necessarily my favorite dark plant, but it says Goth to me like no other: Voodoo lily (Dracunculus vulgaris). Not only does it look like a Gothed-out calla, but it smells like death. Hence a common name in New Zealand of “stinking horseflesh”. It’s definitely a flower to admire from afar. Love all the plants, of course. When I was a teen, punks were the goths, and I more or less was one, though more less than more more. I sort of wished my niece (who’s now 24) would be a Goth, but she wasn’t. Ah well! I love dark-foliaged and -flowered plants, and these are some good insights on how to use them (plus a couple of new introductions, like the brunette snakeroot). I think elderberry ‘Guincho purple’ is incredibly beautiful – haven’t grown it, but have lusted after it at the nursery. Unfortunately any heuchera without villosa heritage croaks in my garden’s heat, so I can’t use them, but if I could, I would try pairing them with some of the chartreuse ones. Right now I have coleus ‘Velvet Mocha’ which is more a sort of brown-fuchsia-wine red (sounds awful, but isn’t) and has narrow crimped leaves unlike the usual coleus, look great against a light wall. 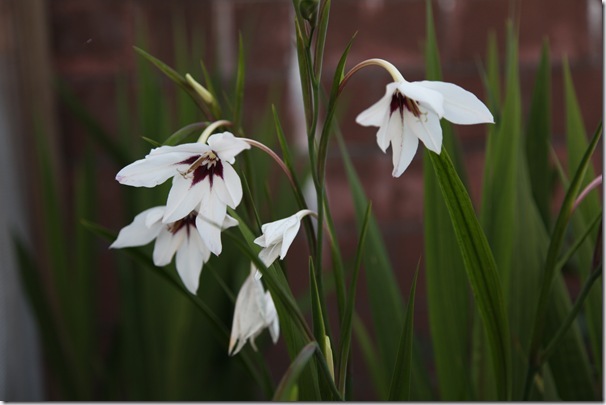 I deeply sympathize about the ORANGE glads – I’ve thought of contrasting my acidantheras with deep-colored glads as well but the dark glads never made it to the final pass on my orders (I go through a few versions: fantasy, several hundred dollars, realistic). .-= Pomona Belvedere´s last blog ..Tulips NOW! =-. Gen! You! Crack! Me! Up! Gosh you’re funny! Great selection of plants. I grow many of them and really wish I could grow that Razzleberri! .-= Erin´s last blog ..The white house with the blue door =-. I had to read the actual plant portion of your post twice, because I was so bemused by the thought of perky blonde Gen as a goth girl that I wasn’t really concentrating! Black plants sure are a hot topic right now. I was lucky enough to be given a one gallon Phormium ‘ Black Adder’ and Ceanothus ‘Tuxedo’ earlier this year, but did not have space in my tiny garden so gave them to clients. The Phormium is nice, but not noticeably different from P. ‘Dark Delight’, but if the Ceanothus performs well in my hotter climate in inland Northern California then I think it will be a stunner. P.S. Did you know the Ceanothus blooms in the fall rather than the spring? .-= Susan (garden-chick)´s last blog ..Garden Feng Shui for Dummies =-. Fred, you’ve got a true gardener’s spirit! You are so right about how burgundy works in the garden, and yeah – in my garden it’s all about the foliage, baby. Well, except when it’s all about the flowers!! LOL. Lauraven, ohmygosh, yes, the stink-lily!! The ultimate in goth plants… Love it. Monica – only so much we can do to guide the next generation, sigh. I hope my little niece becomes goth or punk, too. It would drive my brother nuts!! 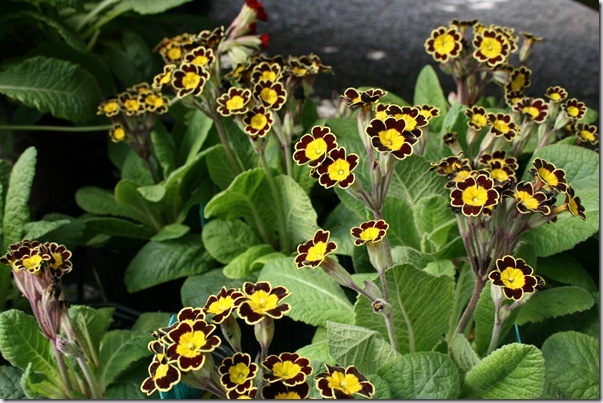 Pomona, yes, I have quite a few things that fell by the wayside on my bulb orders, too, more’s the pity. Thanks for the tip on that Elderberry! I’m going to check it out. Erin, I wish that you COULD grow Razzleberri!! I’m in luuurve with it. Susan, yes, and the funny thing is that everyone would have snickered at me back then as well had I attempted gothyness. Heh. Perky waters run deep and all that. And OH MY GOSH I so didn’t know about Tuxedo blooming in fall!!! Really and truly!! Thank you so much for telling me, that is awesome! Here in The Land of the Rhodie we have ample spring bloom and not enough fall, so knowing that I am totally making room for Tuxedo somewhere, in a client’s garden if not my own. Just have to find someone adventurous enough to love it as I do! How much does it cost to hire a garden designer? Are there Gothic designers in Cent Florida?